A booze-addled capuchin monkey had to be disarmed near a Brazilian bar after threatening to stab customers. Firefighters were called to the scene of a crazed monkey wielding a giant blade at a local watering hole in Teixeira. After sampling rum left sitting on customers’ tables, the animal then became aggressive towards men in the bar, Arede reports, and picked up a big knife. “It was a bar staff oversight that ended with the monkey drinking some rum and taking the knife,” local fire department lieutenant Saul Laurentino said of Friday's events. 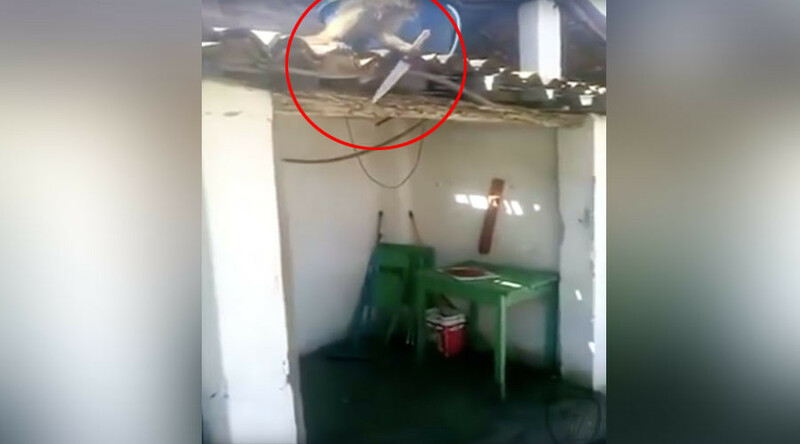 Video footage of the incident shows the monkey stabbing at tiles on the roof of a house with the large blade. Firefighters eventually captured the rum-soaked primate and sent it to a Patos nature reserve to sober up. Apparently the sobering up period didn’t improve its mood: staff from the Brazilian Institute of Environment and Renewable Natural Resources are assessing whether the monkey can be released or if it will have to live in captivity after it reportedly threatened children near the reserve.